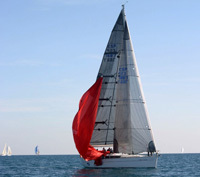 Spanish yachtsmen love regattas and will cruise a good distance to sail in one. 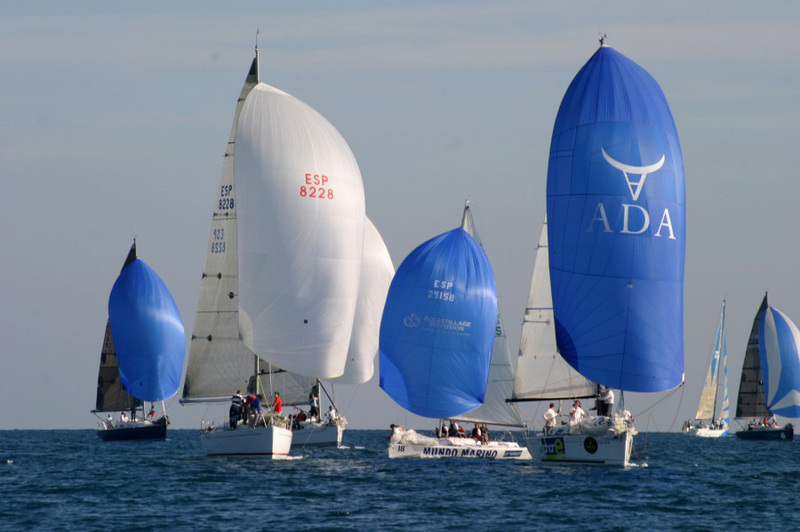 The second annual CNEV regatta, in Valencia last weekend, was no exception and attracted around 90 boats from as far a field as Malaga. Whatever anybody thinks of CNEV, there's no denying that they put on an efficiently run regatta that pleased those who took part. What did the entrants think of the furore over CNEV's role as Challenger of Record? Several hundred people attended the competitors’ barbecue; many didn’t know there was a furore, few of those that did could understand why. "Why does it matter if CNEV was a new club last year?" was the most frequent question. Nobody seemed really interested in an explanation, certainly nobody we spoke to could comprehend why some people got hot under the collar over an old Deed of Gift. "The America’s Cup isn’t happening because of something written 150 years ago? Increíble!" On the sailing side of the America’s Cup, everybody said how great it was to see the yachts back on the water, though the Spanish were, quite naturally, very disappointed and rather puzzled by Desafio’s less than sparkling performance. Origin's first race win raised the most eyebrows and the efficient sailing of the older and slower Spanish boat elevated the team to "very serious contender for AC33" status in many opinions, a view shared by Brad Butterworth. There was a distinct change in the attitude of several of the media guys present. 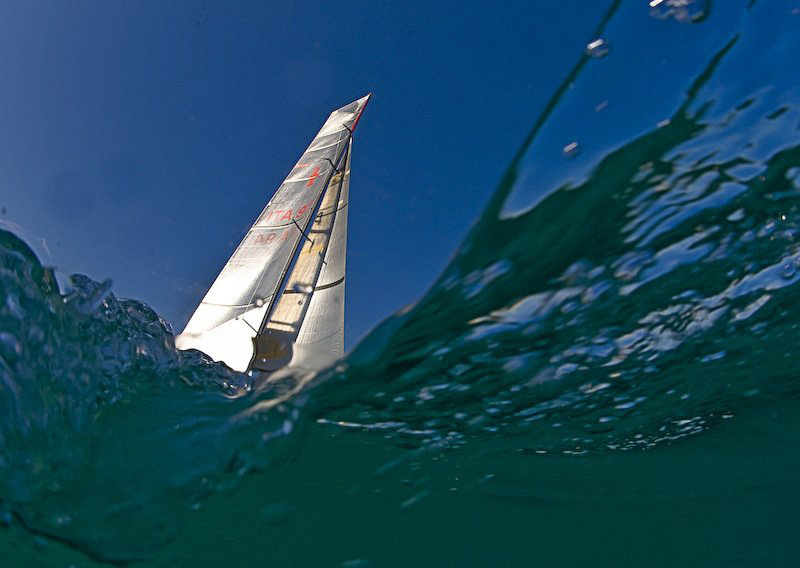 Some appeared to be backing the side most likely to win and, right now, that’s seen as Alinghi. Others seemed to be moving away from an early view of BMW Oracle as some kind of white knight, based on the simple logic that you don’t get twelve teams entering an event they have no hope of winning, or - as one guy put it - "All those entries and Ehman still repeating 'unfair rules' makes you have a bit of a rethink." 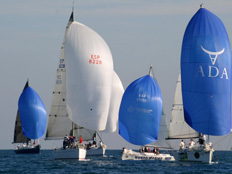 Of course, not everyone has turned against GGYC, nor does everyone think Alinghi is onto a winner. 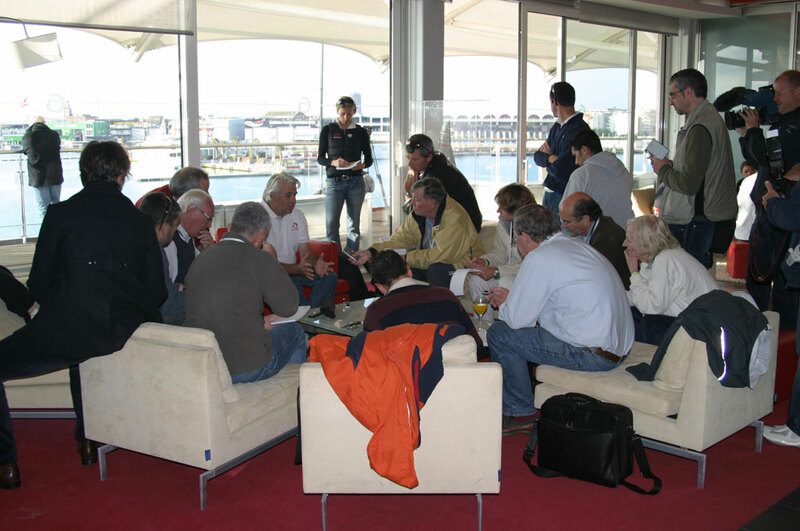 One doyen of the AmCup scene was heard muttering that people should mark his words "Ernesto has the worst to come." Nobody from the Defender, nor the Challenger of Record had much to say that hadn’t been said before. The only real surprise came when Brad said Alinghi’s DoG multihull was unlikely to be revealed until after the Appeal Court ruling. So, in the absence of anything new to discuss among the journalists present, speculation was the order of the evenings and the main topic was "What is going to happen to Coutts and Ehman, if BOR ends up not competing in AC33?" Could there be a clue in a recent new development. For the first time BYM News has been contacted by strategic communications specialists, on behalf of GGYC/BOR. Robinson Lerer & Montgomery’s list of expertise is headed "Crisis management" and its services are described thus: "At RLM, we work with each of our clients to determine effective core messaging, quickly develop a comprehensive strategy to meet the client’s business goals, and integrate a range of communications activities as appropriate. We develop a unique communications program to meet a client’s specific need – to seize a new opportunity, undertake a new corporate direction, respond to an emerging crisis or competitive challenge, or strengthen the client’s corporate reputation in the long term."